Hack-a-Bong is a 420 themed hardware hack creating smoking accessories from everyday products or hacking a pre-existing smoking accessory. 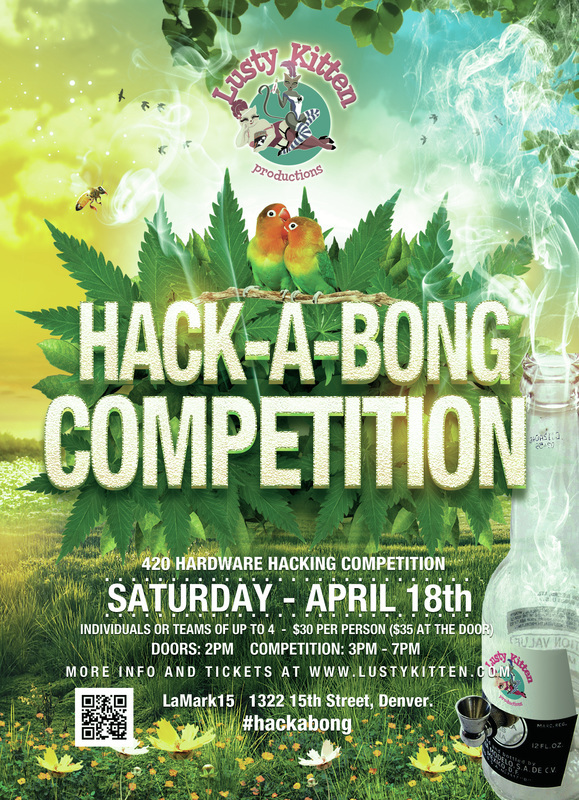 This is a competition based hardware hack-a-thon type of event that ends with a 420 themed burlesque show that may include classic and neo-burlesque, boylesque, variety performance, fan fiction (erotica) readings, etc. The winners of the hacking competition will be announced during curtain call.